When exploring their options for living in Canada, it’s important for those who wish to come to the country to have a clear understanding of the immigration paths that the Canadian government offers to foreigners. There are numerous types of Canadian Visas, each designed for a specific type of applicant depending on their immigration goals. These visas are divided into two general areas, temporary residence visas, which included such categories as student visas and work permits, and permanent residence visas, which include various categories such as the Federal Skilled Worker Category and the Canadian Experience Class. Within this article, we’ll review four of the most common types of Canadian Visas. 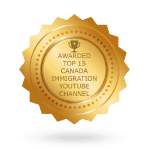 The Federal Skilled Worker Category (FSWC) is a type of application for permanent residence in Canada that can be made by foreign nationals living either outside or inside of Canada. Applicants are assessed based on various factors including their education, their working experience, and knowledge of the French or English languages, and based on these qualifications are ranked on a point system. Out of 100 available points, skilled workers require 67 points in total to qualify. 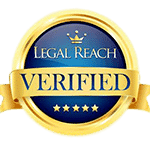 One important caveat is that the applicant must have at least one year of skilled work experience in order to qualify. Applicants should speak with an immigration specialist before determining whether they are eligible under this program. 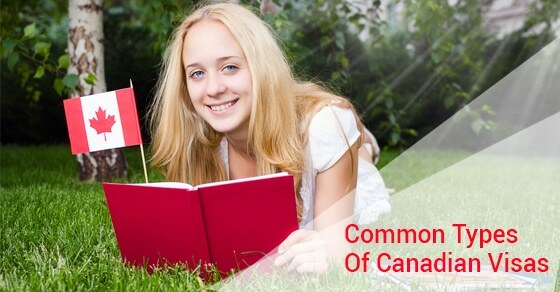 Under the Student Visa Program in Canada, students from across the globe can come to Canada to study at one of the country’s colleges or universities. To qualify for their Visa under this program, students must apply to the immigration authorities with an acceptance letter from the Canadian institution, proof of their ability to financially support their studies including paying the tuition fees and the cost of living in Canada while they study, as well as supporting documents such as passports and other personal information. Through this process, immigrants may then be approved for a study permit to complete a school program in Canada. Those who wish to work temporarily in Canada must first obtain a work permit. This usually requires a job offer from a Canadian employer that has been approved by the government human resources authorities through the Labour Market Impact Analysis (LMIA) process. To get an LMIA, an employer must advertise the employment position for a month in Canada to see if any Canadian citizens or permanent residents are available and qualified for the position. If they are unable to find any Canadians available for the position, they may then apply to the human resources authorities for an LMIA permitting them to hire a foreign worker. If the LMIA is approved, the foreign worker who is offered the position may apply for a work permit on this basis. By working with a trusted immigration specialist, applicants can select the ideal visa for their preferred immigration path. 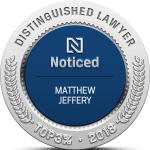 To learn more, speak with our expert team today!